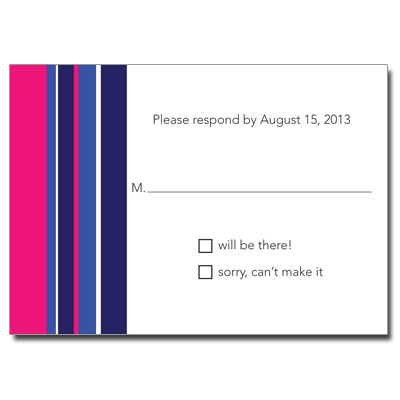 These response cards have pink, purple and blue stripes on the side with the reception info printed in black. These bat mitzvah response cards are a great way for your guests to confirm their attendance to your party. Card measures 5x3.5.